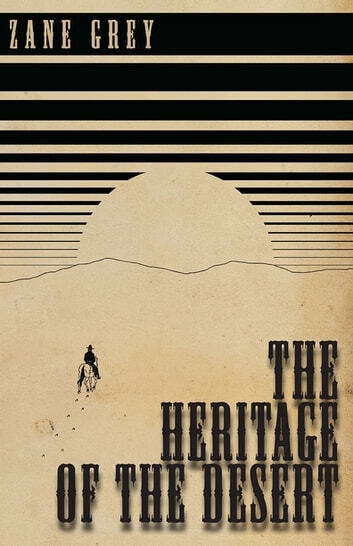 “The Heritage of the Desert” is a 1910 Western novel by American author Zane Grey. The story revolves around John Hare, a young man who travels to the West to recuperate and start a new life. However, when he reaches his destination he is accused of being “Dene's spy” and must endeavour to avoid those who wish him harm. 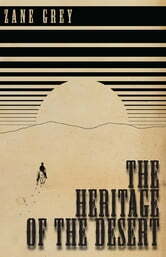 “The Heritage of the Desert” is a fantastic example of classic Western literature complete with animal heroes, loyal Indian companion, rustlers, thieves and much more. Pearl Zane Grey (1872 – 1939) was an American writer most famous for his adventure novels of the Western genre. Other notable works by this author include: “Riders of the Purple Sage” (1912), “The Last Trail” (1906), and “The Lone Star Ranger” (1915). Grey continues to be widely read, and his novels and short stories have been adapted for the screen more than a hundred times. Many vintage books such as this are becoming increasingly scarce and expensive. We are republishing this volume now in an affordable, modern, high-quality edition complete with a specially commissioned new introduction and biography of the author.